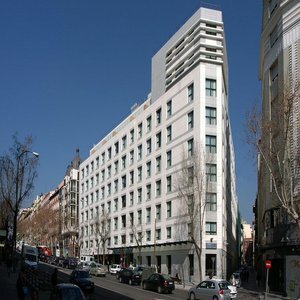 The Husa Paseo del Arte Hotel enjoys a privileged setting in the heart of Madrid's 'Golden Cultural Triangle', next to three of Madrid's most important museums: El Prado, Centro de Arte Reina Sofia and Thyssen-Bornemisza. It consists of 260 rooms and suites, all with heating / air conditioning and outfitted with modern amenities and the most recent advances in technology. The hotel includes modular conference rooms, a restaurant and parking facilities.